This article is about the game in general. For the game data folder, see .minecraft. For other uses, see Minecraft (disambiguation). Minecraft is a sandbox video game originally created by Markus "Notch" Persson, maintained by Mojang AB, and part of Microsoft Studios. It is heavily inspired by Infiniminer. From its creation, Minecraft was developed almost exclusively by Notch until Jens "Jeb" Bergensten started working with him, and has since become head of its development. It features music by Daniel "C418" Rosenfeld and paintings by Kristoffer Zetterstrand. Initially released as what is now known as Minecraft Classic on May 17, 2009, the game was released as Minecraft 1.0 on November 18, 2011. Since its release, Minecraft has expanded to mobile devices and consoles. On November 6, 2014, Minecraft and all of Mojang's assets were acquired by Microsoft. Minecraft focuses on allowing the player to explore, interact with, and modify a dynamically-generated map made of one-cubic-meter-sized blocks. In addition to blocks, the environment features plants, mobs, and items. Some activities in the game include mining for ore, fighting hostile mobs, and crafting new blocks and tools by gathering various resources found in the game. The game's open-ended model allows players to create structures, creations and artwork on various multiplayer servers or their own single player maps. Other features include redstone circuits for logic computations and remote actions, minecarts and tracks, and a mysterious underworld called the Nether. A designated but completely optional goal of the game is to travel to a dimension called the End, and defeat the Ender Dragon. Main menu of Minecraft with a random splash text. Java Edition can be purchased from the Minecraft website. Gift codes can be bought for others, for the same price as buying the game for oneself. Bedrock Edition can be purchased in the Google Play Store, Apple App Store, Amazon App Store, Windows Phone Store, Windows 10 Store, Oculus Store, Fire TV App Store, Xbox One Marketplace and Nintendo eShop. Legacy Console Edition can be purchased in the Xbox 360 Marketplace, PlayStation 3 Store, PlayStation 4 Store, PlayStation Vita Store, and the Nintendo eShop. New Nintendo 3DS Edition can be purchased in the Nintendo eShop. One of the two default player characters. The player is the person that the user controls in the world. When the user starts a game, the player is put in a world, generated by a random or specified seed, with an empty inventory. If the bonus chest option is enabled, a chest filled with basic items generates near the player. The player has a health bar with 10 hearts, and can be damaged by falls, suffocation, drowning, fire, lava, lightning, cacti, falling into the Void, falling anvils and being hit by mobs and other players. Damage to health can be mitigated by armor or Resistance potion, and health can be restored by eating food and drinking specific potions, or if difficulty is set to Peaceful, health will regenerate on its own. Hunger is also a factor if the difficulty is not set to Peaceful, depleting over time and even faster while sprinting, jumping or swimming. Food will replenish the hunger level; however, eating rotten flesh and raw chicken has a chance of giving the player a hunger effect. Depending on the difficulty level, a low hunger level will deplete a player's health. A player can change their skin on the profile page of minecraft.net or in the launcher. The world of Minecraft takes place within a three-dimensional grid of cubes, with each cube being occupied by a certain type of block (not all of which are necessarily cubic). There are different types of blocks; natural blocks such as grass, stone, and ores are randomly generated within the world. There are also blocks that players can craft, such as a crafting table and a furnace. Resources can be extracted from blocks by hand or by using tools. Some of these resources are simply blocks in the player's inventory that can be placed elsewhere, while others are used as material to create other blocks or tools. Others yield no practical use whatsoever. Some blocks cannot be broken through normal survival means, e.g. bedrock, end portal frames, command blocks, and barriers. Various ores (in proximity of lava) that can be mined. As the game's name would suggest, mining is one of the main aspects of Minecraft. Mining is done to extract ore and other materials mainly from below the surface of the map. These ores include coal, iron, gold, redstone, diamond, lapis lazuli, and emerald. These are crucial in making several useful items. Mining can involve digging a hole from the surface or going down through a cave. Abandoned mineshafts create extra areas to look for resources, since they are usually rich in ores. Crafting allows players to create new tools and blocks using items from their inventory. Subsequent versions often contain crafting recipes for new blocks and items. To craft, a player can use the 2×2 grid in the inventory or the 3×3 grid provided by a crafting table. Smelting requires a furnace in addition to fuel, and processes blocks such as iron ore into a more useful form, which in this example is iron ingot. An Enchantment Table with glyphs being absorbed into it. Brewing creates potions from various ingredients and water using a brewing stand. They are stored in a glass bottle and then consumed by the player or thrown at other mobs to generate a certain effect based on the ingredients used to create the potion. Enchanting is also used to upgrade armor, tools, or weapons with an enchanting table. More powerful enchantments can be accessed by gaining experience and placing bookshelves around the enchanting table. In the End, the Ender Dragon exists. Withers can be built in all dimensions. To aid the player, there are several passive mobs: pigs, cows, chickens, sheeps, rabbits, squids, and four tamable mob types: wolves, ocelots, horses and parrots. Wolves will attack enemy mobs if the player engages or is attacked by them. Cats, or tamed ocelots will keep creepers at bay and can't take fall damage. Horses are rideable, allowing the player to travel at a faster speed. Parrots can imitate the sounds of hostile mobs, but otherwise, they are not very practical, unlike the other tamable mobs. Passive mobs other than wolves yield resources when killed, such as raw beef, raw porkchops, raw chickens, wool, leather and ink sacs. If killed when on fire, the meat drops are changed to steaks, cooked porkchops and cooked chickens. There is currently only one NPC mob: villagers, which spawn and move about within their village. The Nether is a dimension in Minecraft, accessible from the Overworld by a nether portal. It was described by Notch as "a brand new hell world". It consists mainly of netherrack and generates lakes of lava. It is populated by zombie pigmen, blazes, ghasts, wither skeletons, and magma cubes. The End is another dimension of the game where the player battles the Ender Dragon. The End is accessible by entering an End Portal in a Stronghold. The End is composed of End Stone and is inhabited by Endermen. It also contains obsidian pillars and End crystals that heal the Ender Dragon. PvP on a multiplayer server. Minecraft multiplayer servers have developed to include their own rules and customs, guided by their administrators and moderators. The term griefer, meaning a player who causes grief, is a typical term on the Internet but has taken up its own definition on Minecraft servers: a person who destroys or defiles other users' creations on servers. Griefers are the reason many server administrators make rules, but this has been taken a step further with modifications to the Minecraft server and even plugin-based replacement servers such as Bukkit. Because of these plugin-based servers, new user-created features have shown up in Minecraft. This includes features like money, vehicles, protection, RPG elements and more. These features normally do not require modification to a user's client and can be accessed by using chat commands. With the default controls, the chat screen is brought up by pressing T.
One popular game on multiplayer servers is Spleef (a play on the word "grief"), a game where the player's aim is to make another player drop through the floor by destroying blocks beneath the opponent's feet. This is typically played in a designated area and is usually run automatically using server plugins. Minecraft Realms is an official subscription-based server hosting service that allows players to create and manage their own private Minecraft servers. Hosted by Mojang, Realms provides an easy and fast way to create servers and allows the owner to manage them from inside the game, without prior knowledge of the concepts for hosting on the Internet. However, Realms are not intended for large public servers, but for groups of friends or as a family server. Private Realms servers are easy to set up and available 24/7 as long as the owner pays for it. Minecraft sales data, up to December, 2015. Notch with the Pocket Edition of Minecraft. The Bedrock Edition (also known as the Bedrock Platform, Bedrock Codebase or Bedrock Engine) refers to the multi-platform family of editions of Minecraft developed by Mojang AB and Xbox Game Studios. Prior to this term, as the engine originated with Pocket Edition, this entire product family has been referred to using as "Pocket Edition", "MCPE", or "Pocket/Windows 10 Edition". Minecraft, with no subtitle, is the title of all Bedrock editions of Minecraft. Before the Better Together Update, it had different subtitles on different platforms including Pocket Edition (for all mobile platforms), Windows 10 Edition, Gear VR Edition, and Fire TV Edition. The Bedrock Edition was initially launched exclusively for the Xperia PLAY on Google Play for US $6.99 on August 16, 2011. It was later released for other Android devices on October 7, 2011, and iOS on November 17, 2011. On September 13, 2012, the Pocket Edition was made available for purchase on the Amazon Appstore. The Windows Phone version was released on the Windows Store on December 10, 2014, for which the Pocket Edition 1.0.0 release and newer are only available for Windows 10 Phone and newer. Since then, four adaptations of Pocket Edition have been released; for Windows 10 on July 29, 2015, the Samsung Gear VR on April 27, 2016, the Apple TV on December 19, 2016, and the Amazon Fire TV on December 19, 2016. As of September 24, 2018, the Apple TV Edition has been discontinued. The original platform for Minecraft, running on Windows, Mac OS X, and Linux and started through the launcher. The game was initially released for an "early private singleplayer alpha" on May 16, 2009, followed by a number of development stages (notably Classic, Indev, Infdev, Alpha, Beta) with the game finally being released on November 18, 2011. The Java Edition has seen many significant updates since its official release. Legacy Console Edition refers to the edition of Minecraft for consoles. The game has been continuously updated by its developers, 4J Studios. The Legacy Console Edition was initially released on the Xbox 360 on May 9, 2012 followed by the unveiling on June 7, 2011 at E3 and the release date announcement on March 22nd through PlayXBLA's Twitter account. Console Edition was further released on the PlayStation 3 on December 17, 2013 (announced August 20, 2013), the Xbox One, the PlayStation 4, the PlayStation Vita, the Wii U, and the Nintendo Switch. As of December 18, 2018, all versions, with the exception of the PlayStation 4 Edition, have been discontinued. Minecraft: New Nintendo 3DS Edition was released on September 13, 2017. It is a unique port developed by Other Ocean Interactive. It is available on the Nintendo eShop, but only for the New 3DS and New 2DS. Multiplayer is limited to local play. This edition was discontinued on January 15, 2019. Minecraft: Education Edition is an educational version of Minecraft specifically designed for classroom use. It is developed by Mojang AB and Microsoft Studios and contains features that will make Minecraft easy to use in a classroom setting. The full game was released on November 1, 2016. There are a number of other versions of Minecraft. Minecraft 4k is a simple version of Minecraft in the style of other "4k" Java games (everything is packaged in 4 kilobytes) that Notch has entered in contests. The Pi Edition was a free ported version of the 0.5.0 version of Pocket Edition for the Raspberry Pi. which was intended as an educational tool for novice programmers. It allowed users to manipulate the game code and supported multiple programming languages, however was discontinued in January 2016. $26.95 Mojang AB Windows, Mac & Linux PCs minecraft.net Keyboard & Mouse Mojang Free, user-created help.mojang.com The most feature complete version. Access to occasional test updates (snapshots). Nintendo Account (for Nintendo Switch Online) Free, user-created, via in-app purchase, or via Xbox Live support.xbox.com Free on Xbox One and Nintendo Switch if you already own the Legacy Console Edition under certain requirements. Cross-platform local server multiplayer. Windows 10, Xbox One, and Android users have access to occasional test updates (builds). $1-5 per user per year Xbox Game Studios Mac, iOS 12 (iPads only), and Windows 10 PCs education.minecraft.net Keyboard & Mouse Microsoft Office 365 Free, user-created education.minecraft.net/support Designed for teaching. $19.99 4J Studios PlayStation 4 PSN Store DUALSHOCK 4 Controller PlayStation Network Purchased via PSN Store playstation.com/support Worlds transfer from PS3. Add-ons are the first step towards bringing customization to all editions of Minecraft and are officially supported by Mojang/Minecraft. Currently, add-ons are only supported on Bedrock Edition platforms, which includes also the Windows 10, Gear VR and Fire TV Editions. They currently allow players to transform the look of their worlds and change the behavior of mobs. The skin is divided into areas that act as the surface area of the character (for example, the front head area, left leg area, etc.). A skin will only allow solid color; transparency is not allowed on the skin file except on the second layer, which is transparent by default; playing offline, pixels can be left free resulting in "holes" in the skin. The second layer can be used to give the character glasses, hats, or other accessories (even a bigger head). Minecraft can be modified by replacing or adding Java class files to minecraft.jar in Java Edition. This method of making modifications are not supported by Mojang as they can break the game if the mod is outdated, defective, or is conflicting with another mod. Some of these user created modifications have been found to impress Notch or Jeb and the original authors have been attributed under Additional Programming; an implementation of Paul Spooner's Forestry editor script (not actually an internal mod), Hippoplatimus' Piston Mod and Dr. Zhark's Mo' Creatures mod (horses) were added in Infdev (April 13, 2010), Beta 1.7 and Java Edition 1.6.1 respectively, although the Forester script was later removed in Infdev. There are many programs designed for Minecraft. These include 3D map editors and viewers, game modifiers, various informational programs (such as crafting recipes), and server wrappers, and other specialty programs. As with mods, these too are not supported by Mojang. Minecraft: The Movie is an upcoming live-action American-Swedish film based on the video game of the same name. It was originally being directed by Rob McElhenney and written by Jason Fuchs, but have now been replaced by Peter Sollett. Originally planned to be released on May 24, 2019, it is now scheduled to be released on March 4, 2022. Minecraft: The Island is a novel by American author Maximillian Brooks. It was published by Del Rey Books on July 18, 2017. Minecraft: The Crash is a novel by Trinidadian author Tracey Baptiste. It was published by Random House on July 10, 2018. The Minecraft Mini-Series is an action/adventure animated web series based on Mojang AB’s Minecraft. The series is produced by Mojang AB and Microsoft Studios in collaboration with Atomic Cartoons and Mattel Creations, with Christopher Keenan serving as executive producer, and premiered on October 26, 2017 on the Mattel Action YouTube channel. Minecraft: Story Mode is an episodic point-and-click narrative-driven graphic adventure video game based on the sandbox video game Minecraft, released in October 2015 across multiple platforms with a Windows 10 release on December 16, 2015, a Wii U release on January 21, 2016, a Apple TV release on August 24, 2016, and a Nintendo Switch release on August 22, 2017. The game was developed by Mojang AB, the developer of Minecraft, in collaboration with Telltale Games. Music for the game was composed by Anadel, an atmospheric folk band based in California. The game follows the episodic format that Telltale has used for its previous titles, where player choices and actions have significant effects on later story elements. Minecraft: Dungeons is an upcoming action/adventure role-playing game developed by Mojang AB. It is slated for a 2019 release for PC. The four current Minecraft Handbooks. In December 2011, Mojang submitted the concept of Minecraft merchandise to LEGO for the Lego Cuusoo program, from which it quickly received 10,000 votes by users, prompting LEGO to review the concept. On January 24, 2012, LEGO Cuusoo announced the concept was approved and they would develop sets based around Minecraft. In February 2012, the first LEGO Minecraft set of Micro World was showcased and made available for pre-orders, with a release set for mid-2012. The Official Minecraft Books are a series of guidebooks for Minecraft, written for new and inexperienced players while being high-quality enough for collectors. The books are written by Stephanie Milton, Paul Soares Jr. (paulsoaresjr), Jordan Maron (CaptainSparklez), Nick Farwell, Matthew Needler, Phil Southamt, Alex Wiltshire and published by Scholastic. There are currently five books in the series: Minecraft: Essential Handbook, Minecraft: Redstone Handbook, Minecraft: Annual 2014, Minecraft: Combat Handbook, and Minecraft: Construction Handbook They were first released in the UK in late 2013 (beginner, redstone, annual 2014) and early 2014 (combat, construction). Many references have been made in culture in response to the popularity of Minecraft, this includes many memes and also references in these video games, TV shows and movies. In Battlefield Heroes, you could get a Royal Minecraft T-Shirt or a National Minecraft T-Shirt from the 29th to the 31st of July, 2011. A vehicle card in Dusk of D.A.W.N. is called "Mine Craft". The description at the bottom says "The Mine Craft is truly top-notch". Notch's Twitter picture is hidden on the card. One of the many paths in The Stanley Parable will eventually take the player to a Minecraft world. 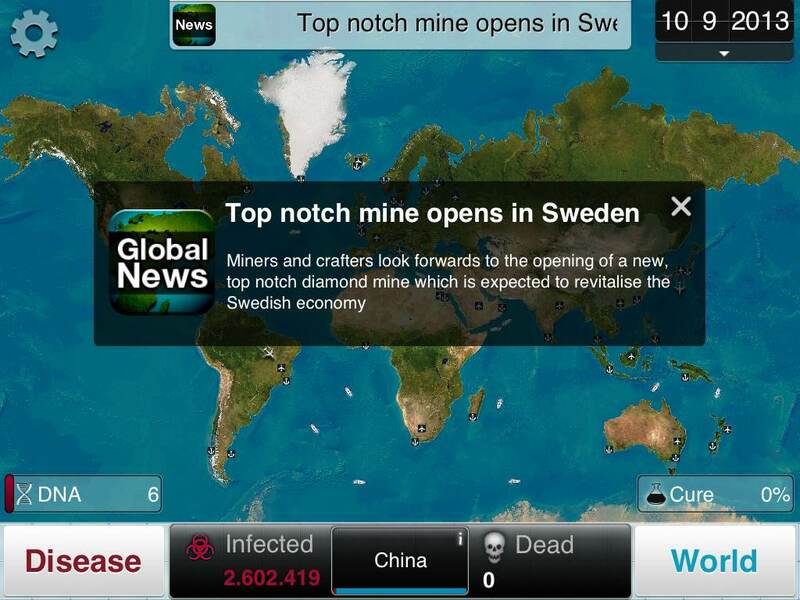 In Plague Inc, a popular multiplatform game, there is a chance a message in the news will appear about a "Top notch diamond mine in Sweden, attracting Miners and Crafters". this is a reference to the value of diamonds, Notch, and the game itself. In Terraria, there is a wearable creeper costume. In Stealing The Diamond, you need to choose "Sneak In" and use a "Pick". A creeper will show up and explode. In Ark : Survival Evolved, ovis will commonly make a variety of sheep sounds. In season 17 of South Park, the 2nd episode depicted a kid teaching Minecraft to adults. In the The Walking Deceased movie trailer, the Minecraft zombie sound can be heard at 0:30. In season 25 of The Simpsons, the 17th episode had a couch gag known as SimCraft, complete with Bartender Moe as a creeper blowing up the house. In Season 3 Episode 10 of Rick and Morty, the title characters mention or are seen playing Minecraft throughout parts of the episode. In Ready Player One (Steven Spielberg), the opening scene in the Oasis shows a Minecraft planet. In season 10 of Adventure Time, there is a complete episode named Diamonds and Lemons shows the characters in a Minecraft-like universe.